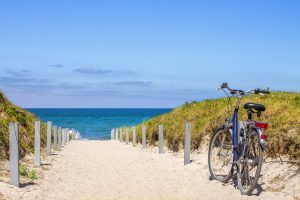 It may be hot at the beach, but if you need some ideas for cooling off this summer, here are a few of our favorite things to do in and around South Walton, Florida. 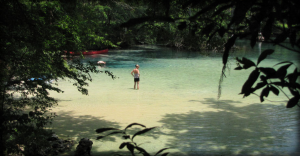 Take a trip north of South Walton to Econfina Canoe Livery – a great place to spend summer hours leisurely paddling, swimming or snorkeling in the crystal clear, sandy bottomed springs. If you pack a picnic, it’s easy to make a day of it. 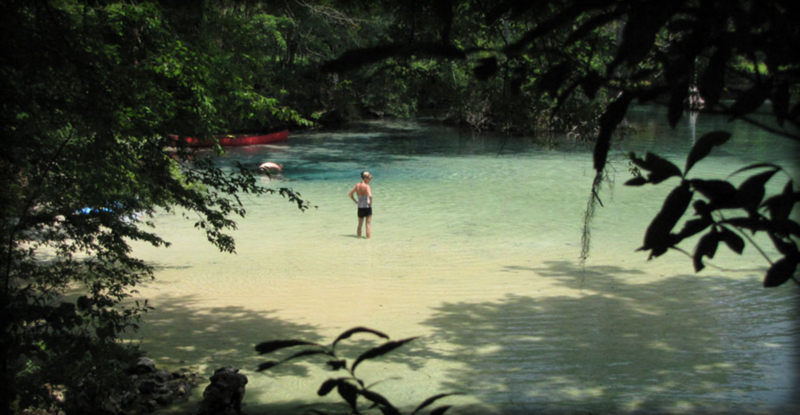 This is one of Florida’s most beautiful canoe trails with lush tropical vegetation, unique honeycomb limestone banks, and six major springs. The livery is located at 5641 Porter Pond Rd, Youngstown, FL about 45 minutes from South Walton. Lucky for us that Walton County’s coastal dune lakes are found along Scenic Highway 30-A. The dune lakes offer a chance to explore something that is over 10,000 years old. Within feet of the Gulf salt water, the lakes are separated only by natural berm of sand, which open into the Gulf of Mexico from time to time. This geological feature occurs in the Florida Panhandle as well as Australia, New Zealand, and the northern Pacific coast of the United States, making for a unique and rare water experience. Paddleboards and kayaks are the best way to explore the dune lakes. You can rent these items at several local rental shops and you will want to when you visit South Walton. 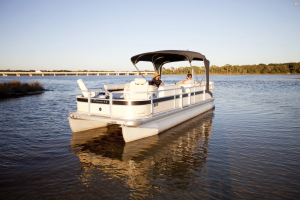 Head to the east end of South Walton to Motorboatin’ 30A near Inlet Beach and jump aboard a pontoon boat as your own captain. 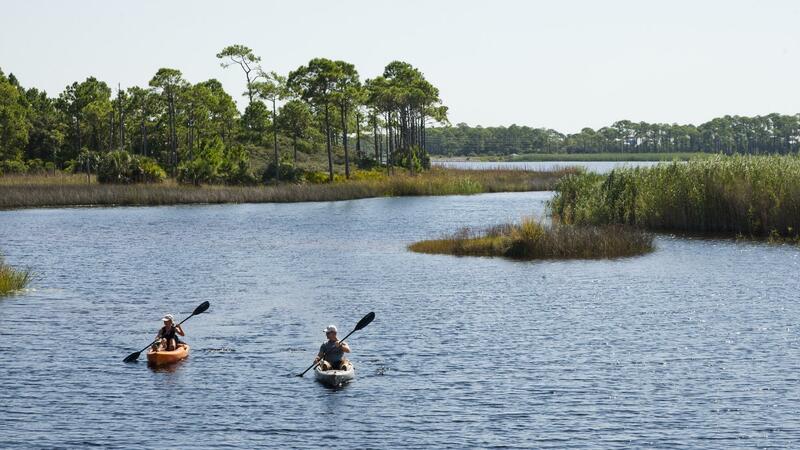 Cruise the beautiful coastal dune lakes while you relax, enjoy some water sports or activities or just fish. Fish such as bass, speckled trout, redfish mullet or flounder are abundant and fishing poles and tackle are available for rent through the company. 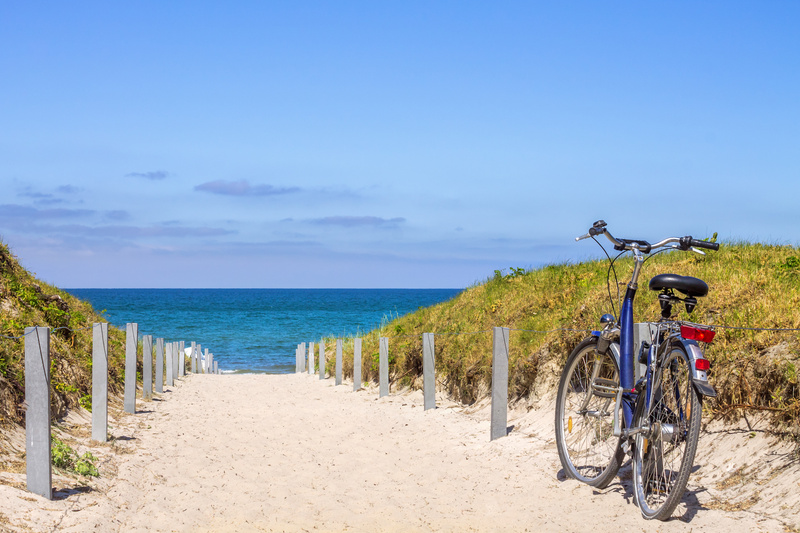 Bike the Timopochee Trail which traces the Gulf of Mexico shoreline and Scenic Highway 30-A as it travels through beachside communities like Rosemary Beach, Seaside, Grayton Beach and Seagrove Beach as well as state forest lands. You’ll be up close and personal to the scenic views of the sea, coastal dune lakes, sandy dunes and coastal neighborhoods as you meander down this tree-lined path along the Emerald Coast. Trail-goers can park and pick up the path anywhere along Scenic Highway 30-A from Dune Allen Beach to Inlet Beach. Vortex Spring is recognized as one of the best and safest diving resorts in the country. 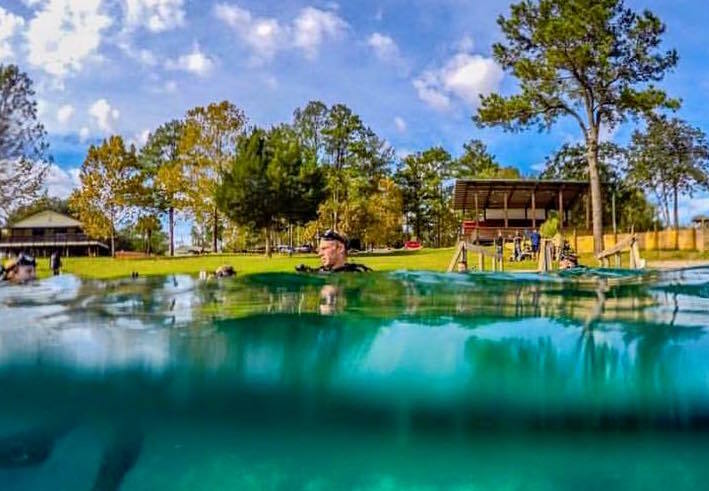 This 420 acre playground produces approximately 28 million gallons of crystal “gin” clear water daily at a year round temperature of 68 degrees. The property is packed with experiences for the entire family whether it be scuba diving with trained and certified instructors, exploring the nature trails, or just taking a dip in the spring. Located just 45 minutes from South Walton, this is a great day trip for your family. If that seems like too much activity, there’s always an alternative cooling-off plan. Pull up a chair and have a cocktail at your favorite bistro or bar. 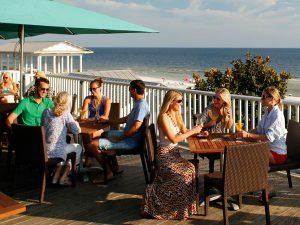 You might want to find Mo at Bud and Alley’s rooftop bar in Seaside for a Mo’garita or Shannon at the Great Southern Café for a Peach Mojito or grab an ice-cold beer at Local Catch in Blue Mountain Beach. Hang on the North Beach at The Bay or Borago where you can swim, paddleboard and enjoy craft cocktails. (Not necessarily at the same time.) 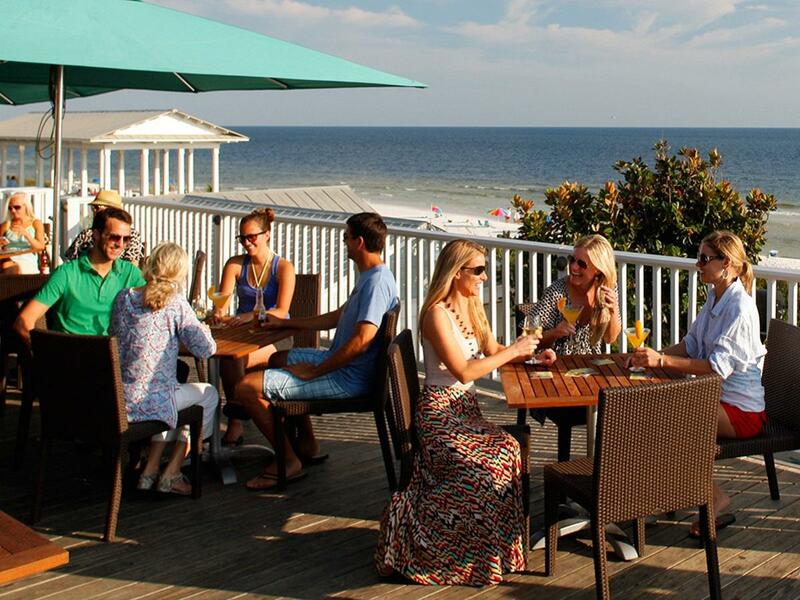 Or pop over to Seagrove Beach any Tuesday or Thursday to Café Thirty-A for $5 martini night. See Jim, Jason or Kari for the perfect pour. As for cool treats for everyone in the family, Blue Mountain Beach Creamery has your ice cream fix. It’s a stroll or a bike ride up from the beach. The Sugar Shak in Rosemary Beach is as close as you’ll get to Charlie’s Chocolate Factory in this life. Candy is floor-to-ceiling and cold creamy ice cream is in abundance. 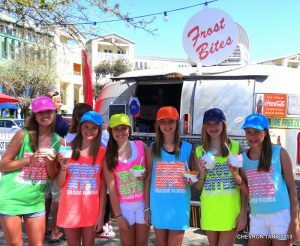 In Seaside, Frostbites has snow cones and Heavenly Shortcakes offers ice cream and gelato. In Santa Rosa Beach, next to Gulf Place, there is Pecan Jack’s ice cream and candy kitchen. These cool treats will make you forget about the heat. We hope something here will pique your interest and have you running to one of these activities, cool drinks or delectable icy confections. Stay cool, friends!